Who takes care of clean up? I like to say our ponies are "trailer trained" - but they do have accidents. We carry waste removal equipment and are always respectful of the homeowners property. 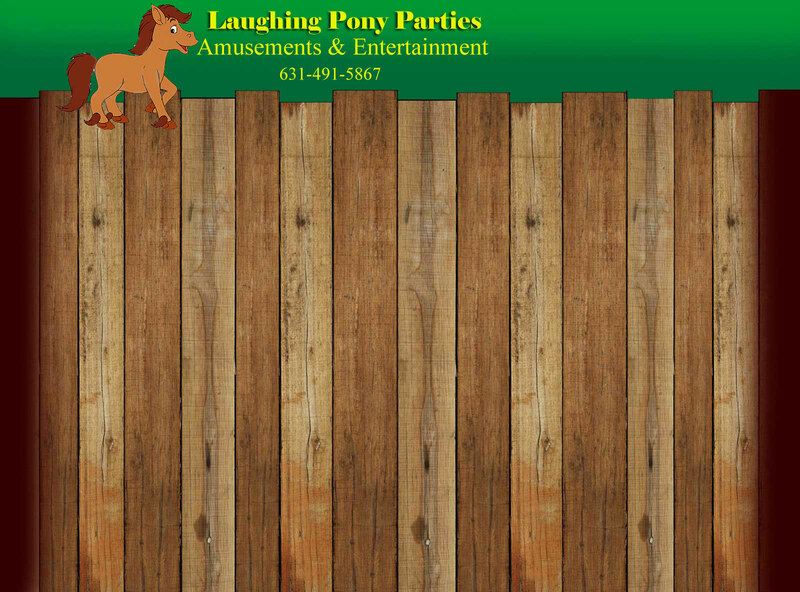 Where do the pony rides happen and how much space do we need? Nearly any backyard will work. If you feel more comfortable we can use a cu-de-sac or side walk. In wet weather hoof prints may be left behind but again we are respectful of the property and homeowner. We try not to repeat the same route to reduce wear on the grass. Can we feed the animals treats? Because of their special diet we do not allow feeding of our ponies. We do suggest large carrots for the petting zoo animals to keep hands a safe distance away. Do you carry insurance? Yes we do. If you would like to have the party in a park you may need to fill out the proper paperwork ahead of time. You also may then request a copy of our policy for park pre-approval. Hand Washing - We recommend a small hand washing station with wet wipes and a Purell bottle. What time will you arrive? We plan to allow 20 extra min's for travel based on mapquest. Please when you send your booking form include any land marks or details that may help us find your location. We strive to arrive on time. Our set up time is appox. 10 min for parties without a moonbounce. We stay for the full hour of riding time. I do need to note - sometimes things unexpected happen... a flat trailer tire, a mapquest detour... and as we all know DC traffic. Have a back up plan if for any reason we are delayed. Don't panic, we will be there, very very sorry for any delays. In the 4 years of business this is the one problem we do our best to avoid. My cell phone # is 516-241-4173. If for some reason we are running late I will call to give you notice of our arrival time. What is the policy on tipping? We strive to provide professional top quality service and memories that will forever be part of your family. If you feel our staff went above your expectations tips are appreciated. Our business survives and grows from your referrals and feedback. Thank you for allowing us to be apart of your celebration. If there are any other questions please don't hesitate to call or email us.